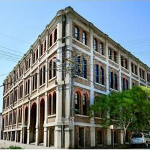 We're a small boutique solutions and consulting operation, with our office five minutes from Redfern train station. We are looking for genuinely talented people. Absolutely primarily, you must have RPM/Linux experience: RHEL, Fedora, Centos, SLES, or OpenSuSE so that you can immediately contribute to our BastionLinux™ brand. Then you must be a Python and/or Ruby developer - and you must know and use testing frameworks in these languages. We also have Perl, C, C++, Java and a range of other more esoteric things in our stack which would also be viewed very favourably. We support, develop, and extend premium open source DevOps platform tools. If you don't already know and love suites like Chef , Zenoss and OpenStack then you soon will. Other technologies you're sure to be exposed to include 389 Directory Server/LDAP, Asterisk/VoIP, Bitcoin, ISP/Email solutions, our Raspberry Pi platform and all things Linux. We've a relaxed office environment close to the CBD and opportunity to work from home and on-site on occasion with clients. If you are already resident in Australia (and have appropriate work rights) and are sure you meet our criteria, then please do send us your cirriculum vitae. If you don't actually have commercial IT industry experience in Australia, we do also run a summer intern programme to give you that expertise.